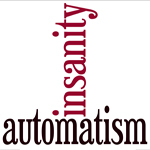 This lecture presentation covers the following issues: automatism and involuntary conduct; the requirement of a total loss of control; sane and insane automatism – the meaning of ‘disease of the mind’ – the internal / external distinction – the danger of recurrence; self-induced automatism – voluntary intoxication; specific and basic intent; burden of proof. Principal authorities discussed include: Bratty v AG for Northern Ireland (1961); A-G’s Ref (No.2 of 1992); Hennessy (1989); Quick and Paddison (1973); Sullivan (1983); Burgess (1991); Hill v Baxter (1958); Bailey (1983); Hardie (1984); Lipman (1970). Experienced full time Senior Lecturer and examiner of Criminal Law on LLB and GDL / CPE courses and Legal System and Jurisprudence on LLB courses and course director of an academic support programme for distance learning students on the University of London International Programmes LLB – an intercollegiate programme whose academic direction is provided by a consortium comprising KCL, LSE, UCL, Queen Mary, SOAS and Birkbeck. As consultant to the University of London IP he advised on the development of the online resources, produced courses of recorded lecture presentations in the core LLB subjects and designed online research exercises available on the University of London’s virtual learning environment (VLE). In addition he organises the QED Law Revision Seminars for LLB and GDL students which take place annually at University College London. Author of Q&A Criminal Law published by Routledge (2015) – now in its 10th edition.